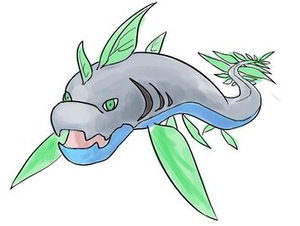 It is invisible in the water, being visible only when it leaps out of the water to drag animals on the shore back into the deep. 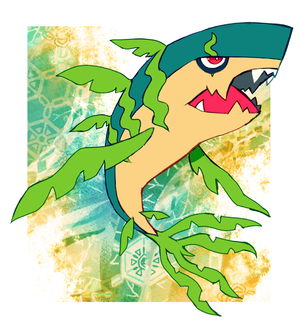 Sharpfin, the Rip tuxemon, is a Water-type, Wood-type monster. 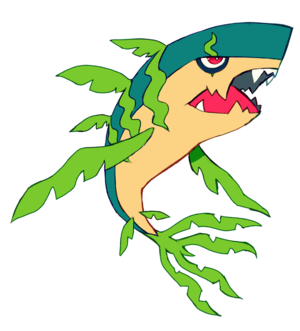 Original design by Leo and extyrannomon. 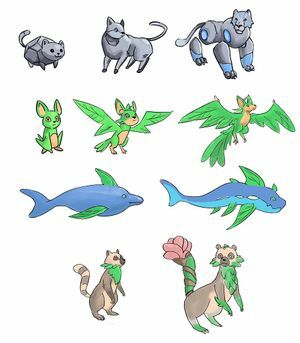 Sprites by Sanglorian. This page was last modified on 31 March 2019, at 10:50.